a consumer tires "I ordered the tires and paid for them They sent me the tires. When they arrived, they were round and black and made of a rubber compound. After I installed them, they hold air and support the motorcycle as expected. Thank you for conducting a normal transaction." flash - washington looks good "tire is slightly undersize, 120x80x18 the actual width is 115mm,mounted very easily,cant wait to try it out on the forest service rds." It's not an everyday occurrence but sometimes you'll see a dirt bike pass you. No not on the track or trails, but on the road. Though not ready-made for riding on public highways owners can register their dirt bikes and use their Motocross bike for commuting or getting around local routes just like a regular motorcycle. Making a dirt bike street legal requires some modifications including installing Department of Transportation (DOT) approved tires. 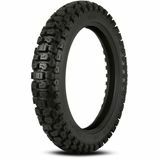 Also known as dual sport, these tires work well on pavement while giving you the traction required when transferring from blacktop to trails. Dual sport tires offer the convenience of legally riding to your trail destination rather than transporting your dirt bike in the back of a truck or trailer. 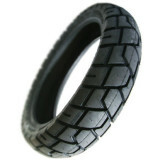 MotoSport stocks a variety of dirt bike dual sport tires from some of the most well-known and respected manufacturers of DOT approved tires. Replace a front or back tire or grab a combo. Most of our available dual sport tires work well on pavement and trails while some cross over to the track. Imagine riding to your race on the very bike you're competing with! Some of The Guys That Ride use dual sport tires on their dirt bikes for commuting to MotoSport so if you have questions or want some advice on the best DOT approved tires for your Motocross bike, give us a call at 888-676-8853 or use the Live Chat. We'll get them to you fast and orders more than $79 ship free.